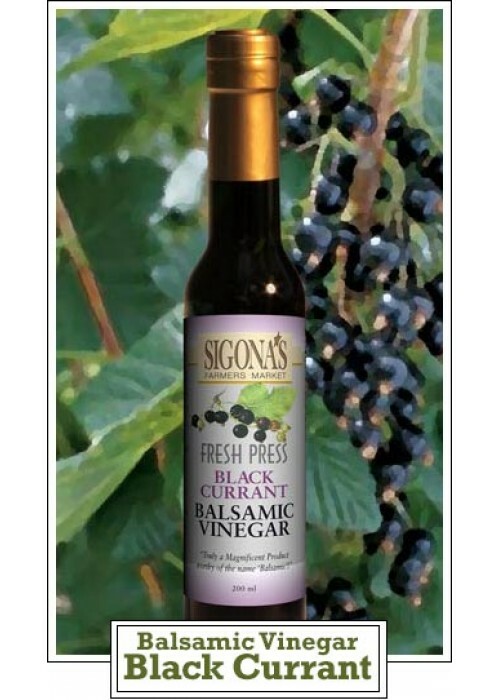 A kir is still a kir, a sigh is just a sigh, and Louis Armstrong would certainly sing for joy at the taste of this Black Currant Balsamic Vinegar. It would make for a sassy Kir Royale! It's sweet, fruity, subtle and sophisticated. Toss it on salads, drizzle it on ice cream, pair it with pork, duck or other game or even use it as a condiment for grilled sausages.